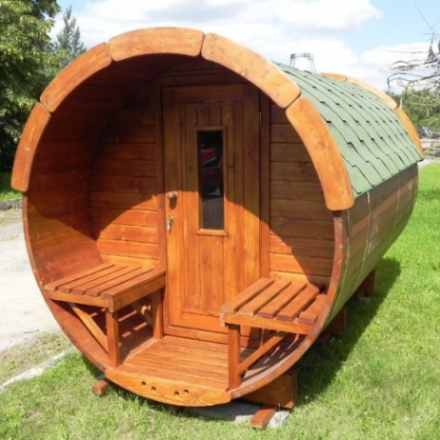 Pod made from spruce; Roof covered with bitumen shingles of your selected color; Opening window in the back wall; Double doors with a lock and the double glass windows; Two rooms inside: a sleeping and a sitting room; Sitting room with 2 wooden poufs, a table and a bench; Sleeping room with double wooden bed, which can be transformed into a sofa. 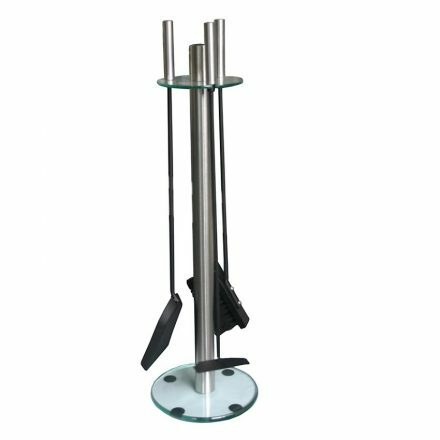 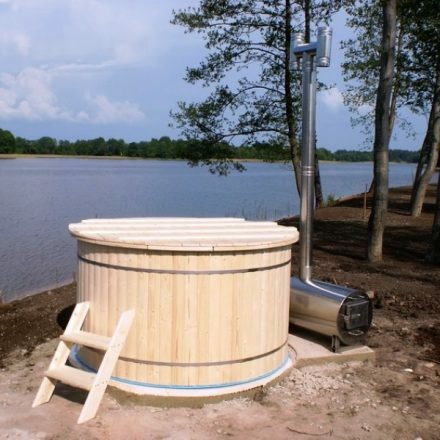 Try camping in a high quality Camping Pod, it is ideal choice for a camping place. 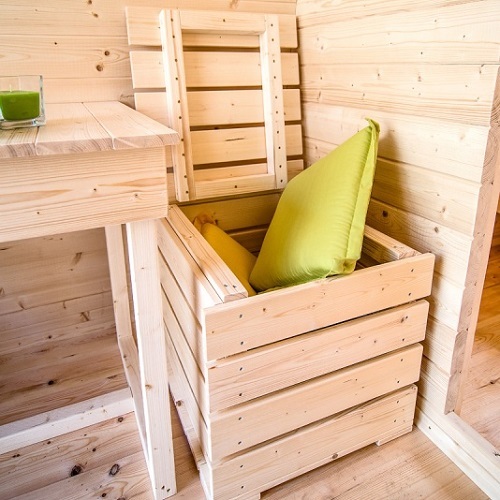 Pod has a small entrance and two rooms inside: a 2 m length sleeping room with a wooden bed of size 1600 x 1990 mm (which can be transfomed into a sofa) and a 2 m long sitting room with 2 poufs (they are empty inside to store your things), one table and a bench; weight is 1600 kg. 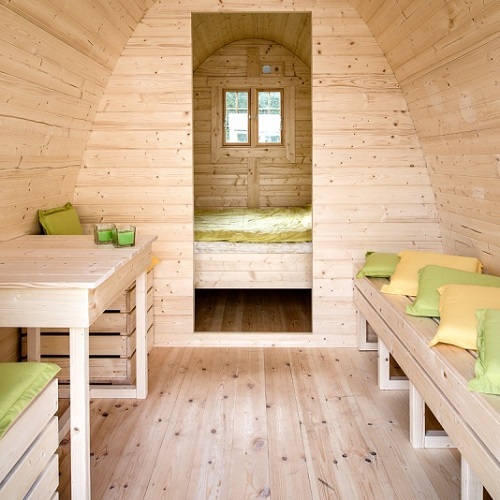 Camping Pod is made from spruce. 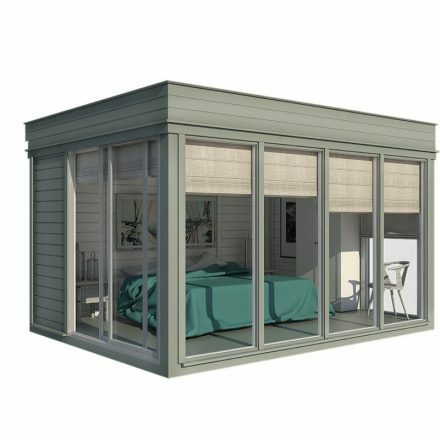 Thickness of the Camping Pod walls is 38 mm; thickness of the solid wood flooring is 28 mm. 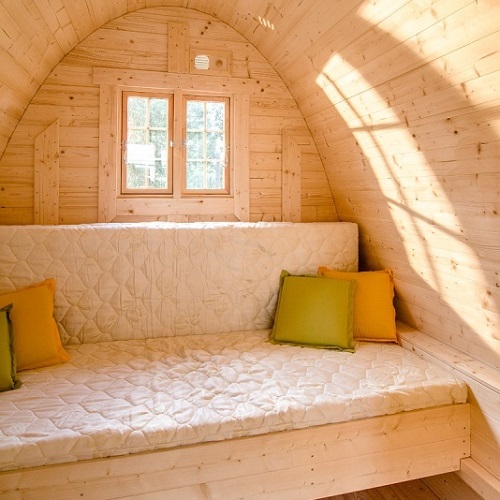 Camping POD is 2.4 m wide and 2.6 m high. 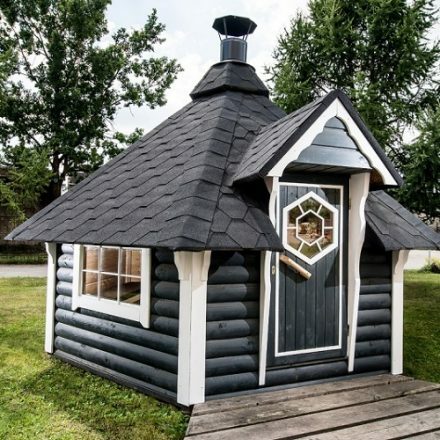 A roof is covered with bitumen shingles of selected color: black, red or green. 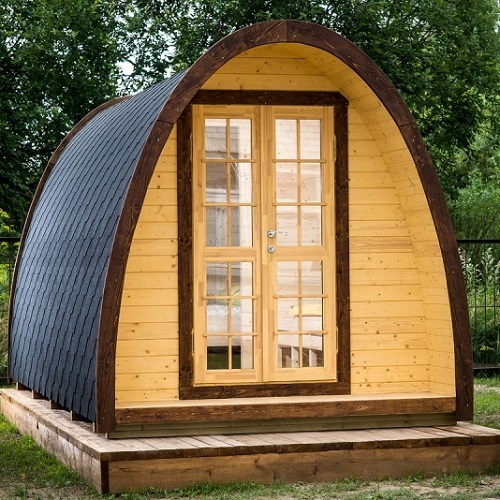 The Camping POD is delivered to a customer fully assembled or not-assembled, but fully complete, with detailed assembly instructions and drawings, and packed on a pallet (KIT). 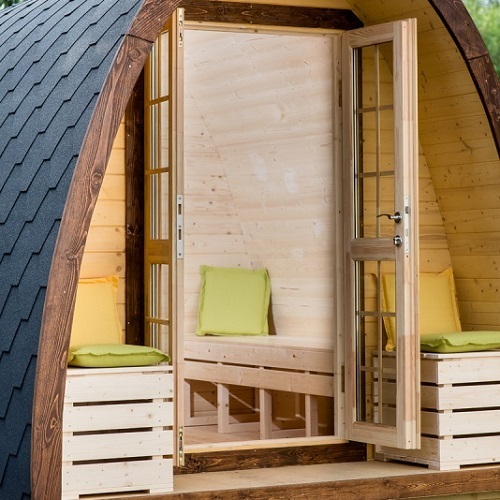 Two people can easily assemble camping pod in 9 hours. 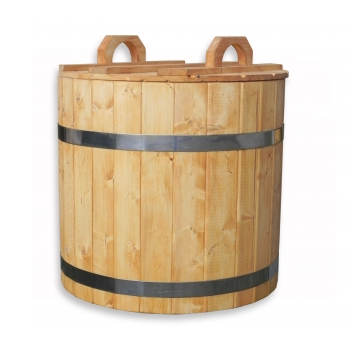 Size of a assembled cargo (L x W x H): 5 x 2.4 x 2.6 m, size of a KIT (L x W x H): 4.8 x 1.2 x 2.5 m. Weight: 1600 kg.